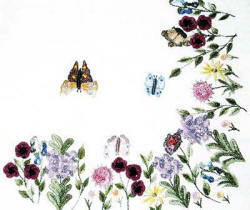 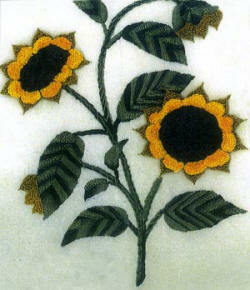 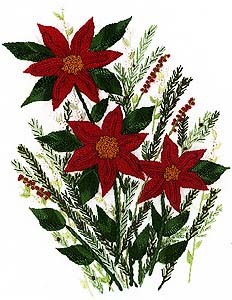 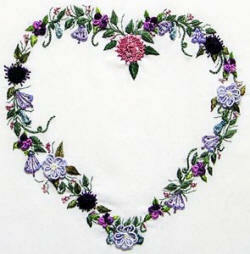 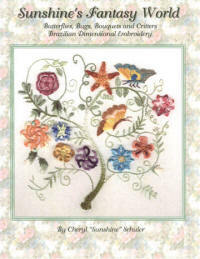 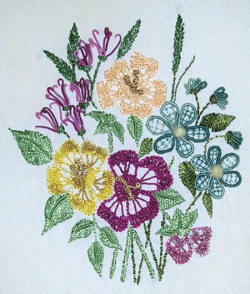 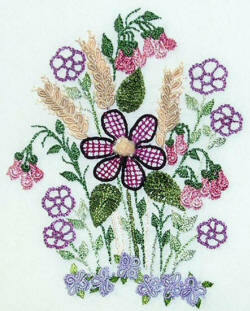 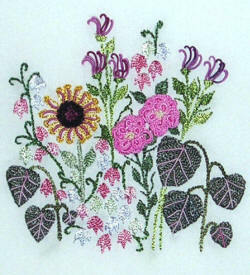 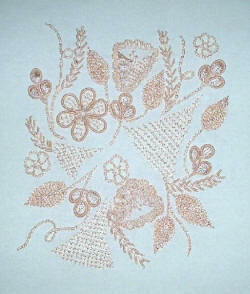 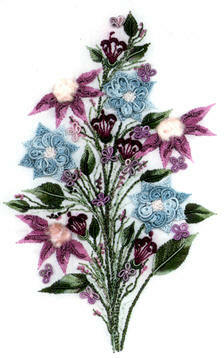 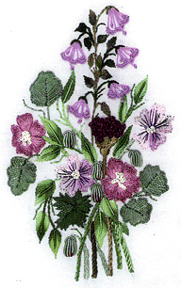 Click on each of the pictures to view the details and order the Brazilian Dimensional Embroidery designs by Anna Grist. 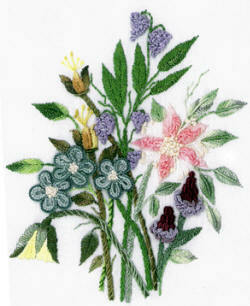 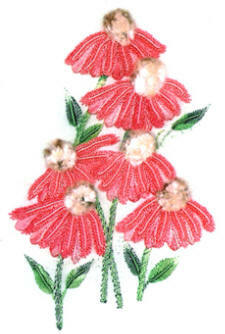 AG4141 Laurel & Wheat AG4144 Lily Ann 7" x 10"
Stitches: French Knots, Pistil, Stem, Cast-On, Palestrine, Standard Leaf, Satin, Oklahoma Twister. 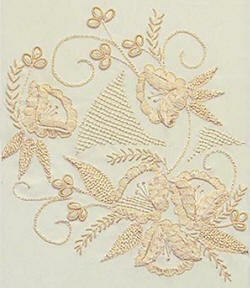 Top contains: printed fabric, instruction sheet, color picture, color chart. 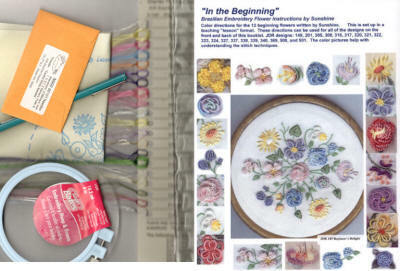 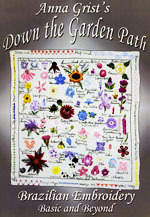 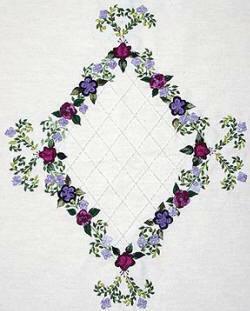 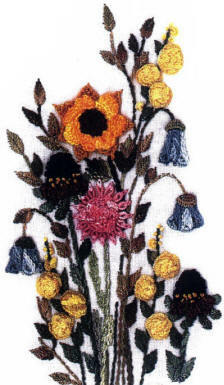 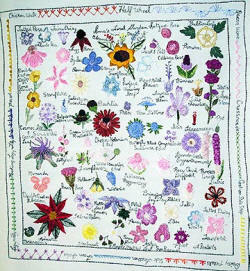 AG 4198 Down The Garden Path Sampler 18" x 20"
Anna G's book includes instructions for basic stitches; new and inventive stiches by Anna G; original flower and border designs by Anna G; plus helpful hints on supplies, washing, ironing, and more. 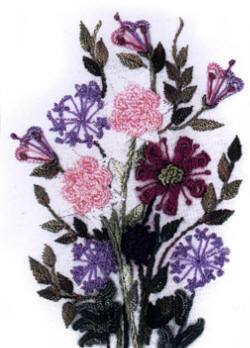 Stitches covered: Bullion, Buttonhole, Cast-on, Chain, Couched, Detached Buttonhole, Double Cast-on, Double Padded, Drizzle Cast-on, Feather, Floater, French Knot, Irregular Short and Long, Lattice, Lazy Daisy, Outline/Straight/Stem, Padded, Pistil, Raised Detached Stem, Satin, Short and Long Buttonhole, Slanted Satin, Slanted Straight, Standard Leaf, Straight, Suspension Bridge, Tacked Turkey, Turkey, Twister Oklahoma, Woven and Wrapped Stem Stitch Slanted. 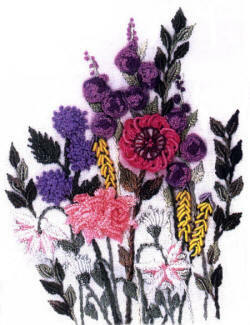 Flowers: Alluim Schubertii, Anna's Rose, Cabbage Rose, Cosmos, Dahlia, Echinacea Razzmatazz, Fairy Daisy, Fuzz Berry, Lilac, Oleander, Poinsettia, Primrose, Statis, Sunflower, Zebra Malva and better than 50 more!